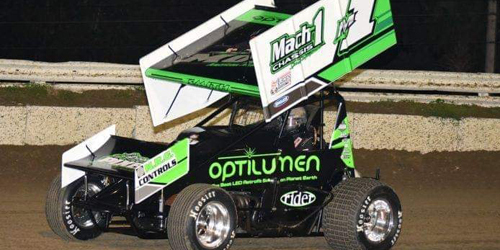 Lonnie Wheatley, TULSA, Okla. (April 3, 2019) – Rolling into the month of April, Sunbury, Pennsylvania’s Mark Smith continues to the lead the way in the Rod End Supply Winged 360 Sprint Car Power Rankings. With a handful of wins to his credit already, Smith maintains a lead of 30 points over Tony Stewart while Sam Hafertepe, Jr., has climbed to third as he seeks a top raking for the fourth year in a row. New Jersey’s Davie Franek drops a spot to fourth while Washington native Seth Bergman has cracked the top five. Cory Eliason is currently sixth with fellow Cali shoe Mitchell Faccinto climbing to seventh with a pair of wins. Wayne Johnson makes his way into the top ten at eighth with Terry McCarl and Morgan Turpen also among the current top ten. 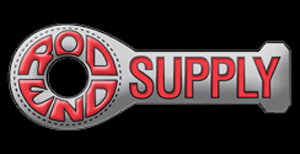 The Winged 360 Power Rankings are presented by Rod End Supply, which offers a wide assortment of rod ends, radius rods, and specialty products that fit the needs of anyone involved in all variety of auto racing and performance related industries including farming equipment. 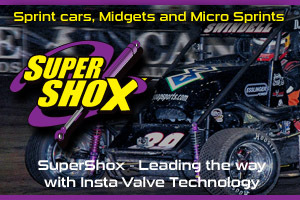 More information regarding Rod End Supply is available at www.rodendsupply.com. 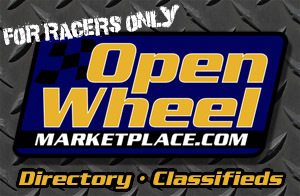 The Rod End Supply Winged 360 Sprint Car Power Rankings are a part of the Open Wheel Power Rankings that also includes STIDA Winged 410s, Non-Wing and www.midgetmadness.com Midgets. 2018 – 1. Sam Hafertepe, Jr. (14) 723, 2. Seth Bergman (10) 637, 3. Mark Smith (14) 611, 4. Andy Forsberg (14) 560, 5. Blake Hahn (2) 536, 6. Wayne Johnson (5) 522, 7. Justin Sanders (12) 515, 8. Dylan Westbrook (11) 507, 9. Steve Poirier (9) 475, 10. Jack Dover (12) 456. 2017 – 1. Sam Hafertepe, Jr. (19) 901, 2. Aaron Reutzel (6) 653, 3. Seth Bergman (3) 627, 4. Wayne Johnson (3) 564, 5. Derek Hagar (8) 512, 6. Matt Covington (1) 490, 7. Johnny Herrera (3) 470, 8. Justin Sanders (10) 468, 9. Morgan Turpen (10) 466, 10. Dylan Westbrook (15) 452. 2016 – 1. Sam Hafertepe, Jr. (10) 716, 2. Aaron Reutzel (8) 713, 3. Johnny Herrera (7) 623, 4. Derek Hagar (13) 607, 5. Mark Smith (11) 604, 6. Seth Bergman (7) 587, 7. Wayne Johnson (4) 525, 8. Blake Hahn (4) 521, 9. Jason Barney (5) 487, 10. Andy Forsberg (12) 482. 2015 – 1. Seth Bergman (13) 717, 2. Justin Sanders (20) 649, 3. Aaron Reutzel (10) 613, 4. Johnny Herrera (9) 596, 5. Wayne Johnson (5) 581, 6. Mark Smith (10) 542, 7. Derek Hagar (9) 437, 8. Andy Forsberg (11) 434, 9. Mitch Brown (6) 410, 10. Shane Golobic (5) 409. 2014 – 1. Jason Johnson (5) 626, 2. Aaron Reutzel (8) 601, 3. Sam Hafertepe, Jr. (6) 510, 4. Seth Bergman (10) 501, 5. Johnny Herrera (3) 491, 6. Tim Crawley (11) 487, 7. Wayne Johnson (6) 448, 8. Tony Bruce, Jr. (4) 445, 9. Brian Brown (8) 441, 10. Jeff Swindell (4) 441. 2013 – 1. Jason Johnson (12) 699, 2. Johnny Herrera (5) 673, 3. Tim Crawley (14) 561, 4. Brian Brown (12) 537, 5. Logan Forler (8) 492, 6. Tony Bruce, Jr. (4) 488, 7. Roger Crockett (17) 479, 8. Jeff Swindell (5) 455, 9. Andy Forsberg (10) 430, 10. Steve Poirier (8) 420.